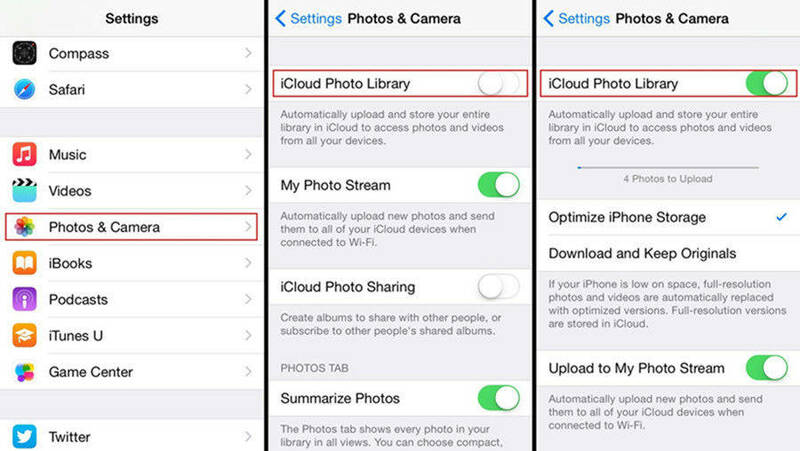 An iPhone user can use iTunes or iCloud to create a backup of their device data and then delete the files not currently needed and cluttering the device. Later, if they need the deleted file, they could easily restore it from the backup created before. But, an iPhone does not only allow easy backup. You can also sync your iPhone data to your other Apple devices including iPhone, iPad, iPod, as well as Mac using iCloud. It is also possible to sync data from iPhone to Mac. If you don't know the process to sync messages from iPhone to Mac, then continue reading this article. Here, we have given you different solutions on how to sync messages from iPhone to Mac. If you ask any iPhone user how to sync messages from iPhone to Macbook, then obviously, their answer would be iCloud. iCloud is not only the cloud storage service of Apple, but it is also a data syncing service that allows Apple users to sync their different devices with each other. Apart from allowing backup of data on iPhone, iCloud can also help you sync messages as well as iMessage from iPhone to Mac. Step 1: First, on your iPhone, tap on the Settings app and then go to Messages option. Step 2: In Messages screen, tap on the "Send & Receive" option and then at the next page, you will see your Apple ID at the top of the screen. If not, then click on Use your Apple ID for iMessage option and then sign in with your Apple ID and password. Step 3: Now, enter a phone number and email address to link it with Apple ID under the "You can be reached by iMessage At" option. Step 4: On your Mac, open the Messages app from the Application folder and then sign in with your Apple ID and password. Step 5: Click Messages at the top and then click Preferences from the menu. Step 6: Next, select Accounts and make sure that you logged in with the same Apple ID as on your iPhone. Step 7: Then, select your phone number or email address that you choose on iPhone for Messages under the "You can be reached for Messages at" and "Start New conversation from". This is how to sync messages from iPhone to Mac. But, this method syncs all messages from iPhone to Mac. If you only want to sync selective chats or only older chats and not new ones, then this method isn't recommended. If you want to know how to sync old messages from iPhone to Mac or only selective messages, then go to the next solution. With iCloud, you are able to sync all messages old or new to the Mac. But, sometimes, you don't want to sync everything to the Mac, instead, only a few important messages. But, iCloud syncing doesn't allow you to select which messages you want to sync or not. If that's the case, you could use Tenorshare iCareFone iOS utility to easily sync messages from iPhone to Mac. Step 1 First and foremost, you need to download Tenorshare iCareFone on your Mac and then install it. Step 2 After installing Tenorshare iCareFone, launch the program and then connect the iPhone to Mac using a suitable USB cable. 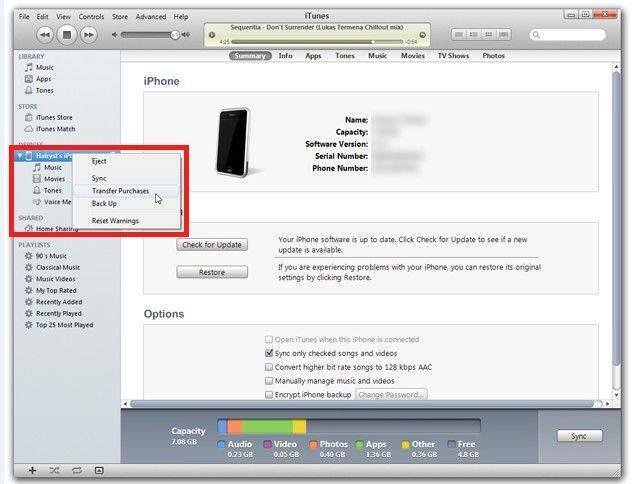 Step 3 At the Tenorshare iCareFone home screen, click on "Backup & Restore" option at the top. Step 4 Now, select the type of data that you want to transfer to the Mac. Here, check the option for "Messages & Attachments" and then click the "Backup" button to start the syncing process. Step 5 Then Tenorshare iCareFone will find all messages on your iPhone. Preview the messages and then select the ones that you need. Step 6 Finally, click Export to computer button and the messages will be saved on your Mac. Syncing messages from iPhone to Mac is necessary when you want to back up important messages but don't want to clutter your device. So, in this article, we have given 2 easy ways on how to sync messages from iPhone to Mac. But, if we talk about the best method to sync iPhone messages to Mac, then Tenorshare iCareFone is the best option. It allows you to sync messages as well as other data from iPhone to Mac or Mac to iPhone. Highly recommended!